Many Xbox One gamers have got a frustrating issue with their devices — the microphone they use on their Xbox One controller can’t work properly. This happens when they try to use their headset to chat with their friends. You may be very annoyed when you get this problem. The mic on your headset can’t record your voice. You can hear what your friends say but they can’t hear you. You just won’t be able to talk to your friends! Don’t worry! It is still possible to get your microphone back to normal. You can try the tips as follows. They have helped many Xbox One users fix their microphone. And they may be able to help you. Once you find the microphone can’t work on your Xbox One, the first thing you need to do is to do some basic troubleshooting. 1) Check if your headset is properly connected to your controller and your controller to your console. If you are not sure, try reconnecting your headset to your controller (plug the headset connector firmly to the port on your controller) and reconnect or resync your controller to your console. 2) Make sure your headset is not muted. 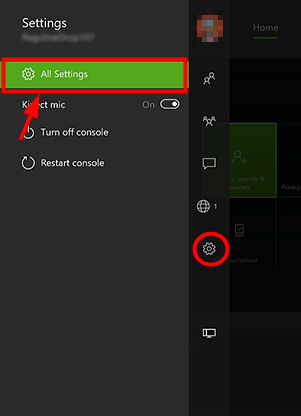 Check the mute button on your headset control or the audio settings on your Xbox One. You may also need to adjust the audio settings to increase the microphone volume (this can enable your voice to be clearer and louder). 3) Check your devices and cables carefully and see if there is anything wrong you can see from outside. Also, you can test with another headset or controller, or even a different console to verify where the problem is located. If you find any hardware issue, you may need to get your controller repaired or replaced. 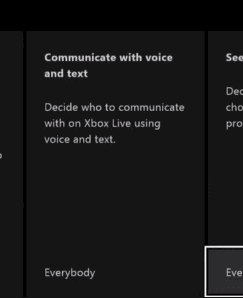 Your microphone on Xbox One may be muted because your profile settings limit your voice communication. You can check your profile settings and see if the microphone on your account is being controlled. 1) Press the Xbox button on your controller. 2) Select Settings and All Settings. 3) Select Account and then Privacy & online safety. 4) Select View details & customize. 5) Select Communicate with voice and text and then select who you want to talk to (usually your friends or everybody). 6) Check to see if you can chat with your friends using the microphone. Your Xbox One mic not working problem may result from issues on your Xbox One console. Those issues can be fixed by a complete reboot of your console. You can restart your Xbox One console and see if this can resolve your problem. 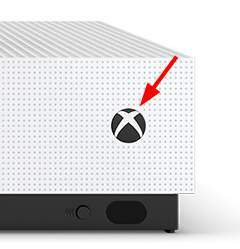 1) Press the Xbox button on the front of your Xbox One console until it shuts down completely (this will take about 10 seconds). 2) Unplug the power cable from your console and leave it for about 10 seconds. This will reset the power supply of your Xbox One. 3) Plug the power cable to your console. Then press the Xbox button on the front of your console to power it on. 4) Check your mic and see if it works now. 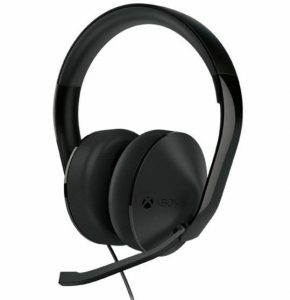 If you have found hardware issues, or the methods above can’t help you, you need to get your devices (your Xbox One headset, console or controller) repaired or replaced. If your devices are still under warranty, you can contact Microsoft support or the vendors of your devices and ask them for help.